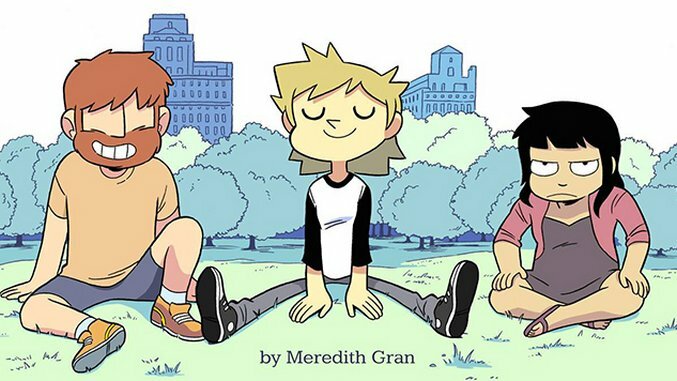 Meredith Gran’s long-running webcomic, Octopus Pie, follows the lives of Eve and Hanna, two friends and roommates living in Brooklyn. After nearly a decade of self-publishing online, Gran signed a deal with Image Comics to bring the beloved project to print. The first compendium, out next week, tells the story of Eve and Hanna’s initial meeting and how they came to live together. The pair’s opening misadventures cover everything from health food follies to figure skating to a heated match of Laser Tag—all conveyed with Gran’s fondness for deadpan, observational humor. Paste talked with Gran about the comic’s origins, the process of revisiting her earliest work, and her evolution as a writer and artist over the years. Paste: What first prompted the idea for Octopus Pie? And how have you been able to tell so many stories in this world over the years? Meredith Gran: I started things very loosely, with the character concepts and practically no story. And that’s probably the reason it endures! The stories accommodate the characters, and the characters reflect the changes in my own life. 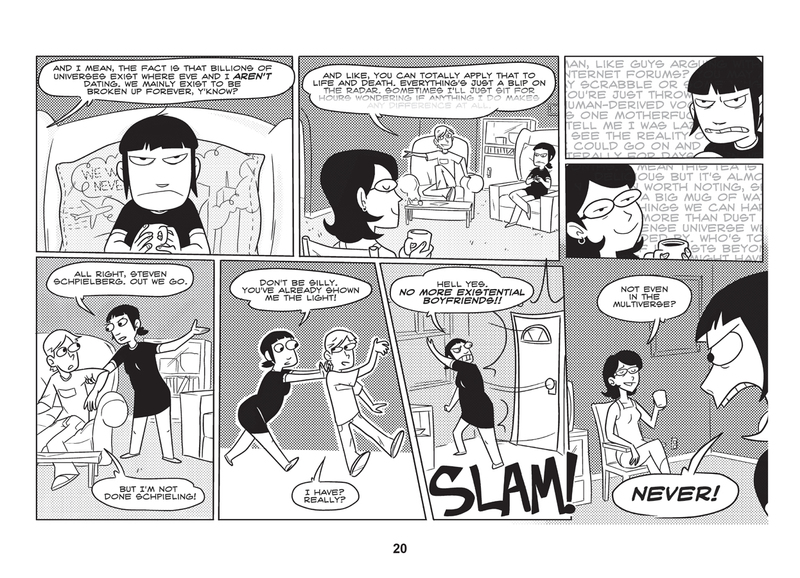 Paste: In your introduction to this volume, you talk about returning to the point of view of your early 20s by revisiting the earlier comics collected here. Was there anything you uncovered that surprised you? Gran: There’s simultaneously a great heaviness and lightness to Eve’s interactions. One moment she’ll obsess about a date all day long, and cry to her friends when it goes wrong. The next moment she’ll completely forget what her ex put her through and get back with him. Her career trajectory is hopeless and soul-sucking, but she treats it like a mild annoyance. There’s no fallout for her long-term decisions—just day-to-day, overblown disasters. I reread these and thought, Yeah, that’s how it felt, alright. 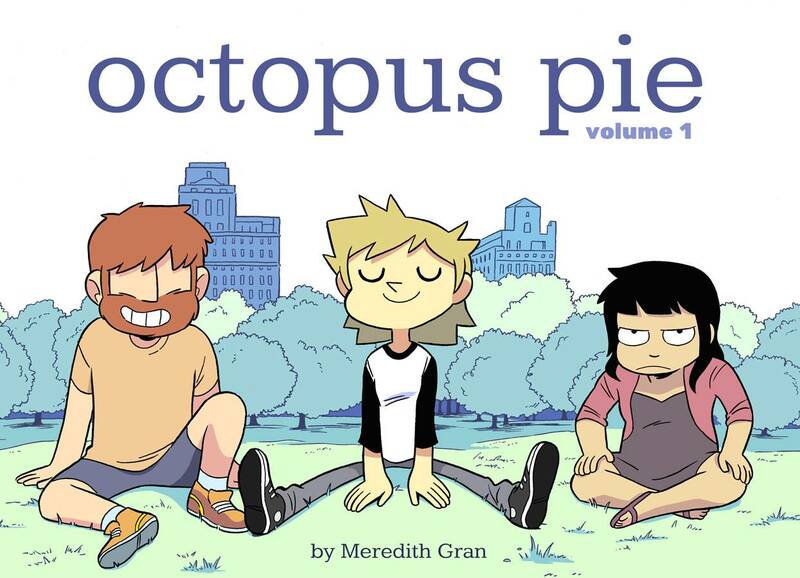 Paste: Some of the humor in Octopus Pie is observational; other moments, like in the arc where Eve ends up with a bird on her shoulder, have a more absurdist bent. What, for you, makes for the most resonant humor? Gran: I think long-term, the observational humor sticks with people. I love hearing a well-observed joke and finding context for it in my own life later on. Like a tiny puzzle piece for my brain! But lots of readers love the early absurdist stuff. I think the latter is easiest to quote and share out of context. If comics are part of your social experience, I think you gravitate towards that. Paste: For much of the book’s first half, the art is very stylized and cartoonish, and then there’s a sequence of Eve figure skating with incredible grace. Would you say that that storyline marked a shift in the way that you were drawing the comic? Gran: I guess you could say that! Everything got a little more three-dimensional. Up until that point, Hanna mostly regarded Eve with bored amusement. The thought of her doing something beautiful in a way that upset Hanna was funny to me. But the idea that Hanna would unquestionably go to bat for Eve was new, and it was something more substantial to build on. Paste: What are some of the challenges inherent to working on a comic set in a city that’s in a constant state of flux? Gran: It’s fairly easy! A lot of NY iconography—public transit, parks and bodegas, street layouts—haven’t changed enormously in ten years. The tourist districts and bars/restaurants change a lot, but I try not to get too specific with those places. I also try not to place Eve and Hanna’s apartment in a specific neighborhood, since they would’ve moved all over the place by now. Once in a while I do draw a building and realize it’s been demolished. That’s a little embarrassing. Paste: A little over halfway through the collection, the comic reveals the existence of previously unseen friends of both Hanna and Eve. Did you know when you started the comic that these characters existed offscreen? Gran: No, they all sort of formed later on. I knew there needed to be other friends in the picture, and that chapter was a see-what-sticks approach. A good chunk of them did end up having significant roles. I’ve done a couple of these group intros over the years to form the full cast. I like the idea of the main characters “choosing” who they’ll see again, based on chemistry and story potential. It feels organic! Paste: How would you describe your evolution as a writer and artist over the course of the storylines contained in this volume? Gran: As a visual artist, I was looking for something very slick and professional in the beginning. I think I wanted to prove I’d “arrived,” skill-wise, and that my work was fit for commercial publication. Later on, I felt a bit safer with my audience, and I really wanted to learn new things. Brush inking was something I’d never attempted, even though I considered it an essential artist tool, and I took the plunge through the comic. It looked rough for a while, but I don’t regret that decision at all. I think the writing was a bit more consistent in the first volume. The characters are fleshed-out and become less quippy, but the template endures. A lot of the development there comes in volume two. 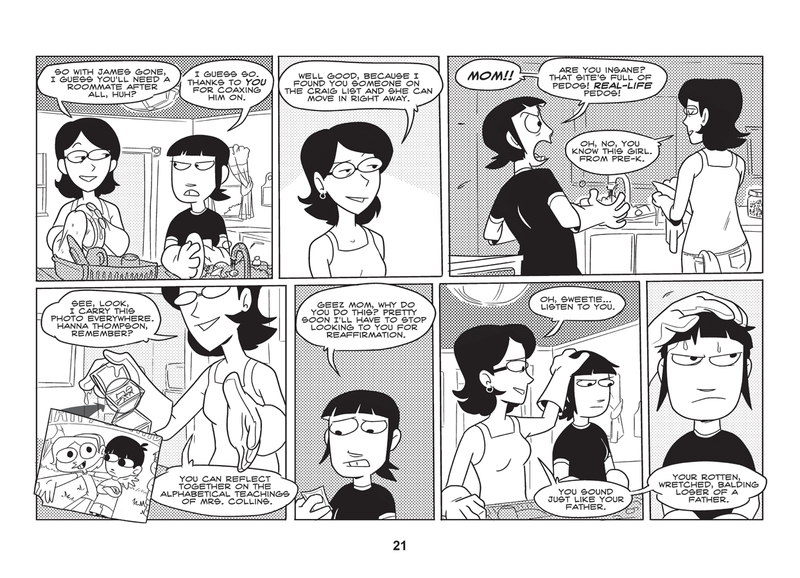 Paste: You’ve been involved in the world of webcomics for many years. How would you say that it’s changed in that time? Gran: It’s pretty indistinguishable from the year 2000, when I was first getting into it! Most early webcartoonists were either newspaper syndication hopefuls, gamers/programmers, or ‘90s-era furries. And we pretty much all know/knew of each other. The scene’s too big to keep track of now. Over the years there’s been a real shift from self-taught subversives to formally-trained career artists. I think the growth of webcomics has pulled in some young people who’d never have considered doing comics in the ‘90s, which is neat! And in a crowdfunded world, they know you can make a serious go of it, so they’re motivated. The subversiveness comes not from being “work unsafe,” but from the variety of voices. I love visiting some of the webcomics from the early 2000s and seeing they still update. A lot of them look the same, and their fans still love them. Gaming isn’t exactly a niche topic anymore. Even furries are cool now. We did it.